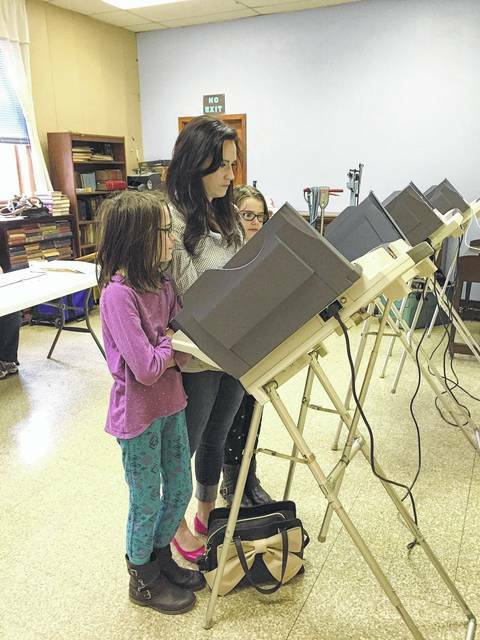 GALLIPOLIS — As the Nov. 7 election draws nearer, the Gallia Board of Elections has firmed up its list of candidates expected to appear on the ballot this fall. According to information provided by the Gallia Board of Elections, for Gallipolis City Commission, Cody Caldwell, Beau Sang and Albert “Tony” Gallagher are running for a position to govern Gallipolis. Robert Terry, Virginia Daniels, Brian Waugh and Gene Allen Hall are running for positions on Centerville’s council. Cory Camden is running for a position on Rio Grande’s council. Denver Bates is also running for a spot on the Vinton Council. Carol Porter is running for a position as part of the Gallia-Vinton Educational Services Center. Eric Mulford sits as the sole candidate running for Gallipolis Municipal Court judge. Joe Foster seeks a position as Green Township fiscal officer. Ruby Stanley, Shelby Davidson and Lisa Shaffer seek a spot as Walnut Township fiscal officer. Lynn Angell and Troy Miller are running for a seat on the Gallipolis City Schools Board of Education. Stephanie Mulford, Brent Schultz and Jeff Halley are running for seats on the Gallia County Local Schools Board of Education. Stephen Saunders is running for a spot on the Educational Service Center District 6 Board of Education. Douglas Pugh is running for a spot on the Educational Service Center District 4 Board of Education. Martin Appleton, Gary Sowards, Jr., and Matt Ward are running for a seat on the Fairland Local Schools Board of Education. Tammie Meyers, Hope Rowe, John Sharp, Tommy Shepherd, Chris Webb and Derek Wilson are running for spots on the Symmes Valley Schools Board of Education. Fred Burnett and Robert Rothgeb are running for positions as Addison Township trustees. Both James Taylor and Mike Conkle seek to claim seats as Cheshire Township trustees. David Kerns and Tammy Gray run for a seat as township trustee with Clay Township. Harry Dean Brownell and C. Ronnie Carmichael are both running for a seat as Gallipolis Township trustee. Seth Montgomery and David Graham are running for a seat as Green Township trustee. Charles Chambers, Jr., Hayden Hammond and Roy McCarty are running for seats as a Greenfield Township trustee. John Cardwell and Scott Ferguson are running for a seat as Guyan Township trustee. Margaret Adkins and Bobby Angel are running for a seat as Harrison Township trustee. Billy Oiler, Jeffrey Oiler, Roger Shadwick, Tad Browning and Bryce Taylor are all running for a seat as Huntington Township trustee. John Manley, William Hash, Jr., and Jeff Ferrell are all running for a seat as Morgan Township trustee. Robert McGuire, James Waugh and Samp Johnson are running for Ohio Township trustee. For Perry Township trustee spots, Bradley Davies, T. Mark Hager and Jeffrey Pope are running. Matthew Roberts is running for a position as a Raccoon Township trustee. Vaughn Taylor and Scott Howell are running for a position as a Springfield Township trustee. Doug Elliot, Richard Ingles and Steven Owens are running for a position as a Walnut Township trustee. As per a correction to a recent story regarding county voting issues, Rio Grande is asking that villagers vote upon a renewal income tax levy of a half percent to go towards fire and police services and not an increase in percentage. Should villagers approve the measure, their income tax percentage paid would remain the same.